Visit our Photo Gallery, Events Archives, and AALBC’s Events. To Add an Event to Our List: share the event’s information on our African-American Literature Discussion Forum. We also select events from this list to share with readers of our monthly eNewsletter. Here is printable list of events. With a single line of code, you may add this events listing to your website or blog. The Arkansas Literary Festival is a project of the Central Arkansas Library System. The Festival's mission is to encourage the development of a more literate populace. A group of dedicated volunteers assists Festival Coordinator Brad Mooy with planning the Festival. Committee chairs include Kevin Brockmeier, Talent Committee; Susan Santa Cruz, Festival Guides; and Amy Bradley-Hole, Moderators. Learn more about Arkansas Literary Festival on AALBC.com. The annual Essay and Short Story contest, in partnership with Bethesda Magazine, will honor local writers! Adult top prize winners will receive $500 and be published in Bethesda Magazine's July/August issue. Young adult (ages 14-17) winners will receive $250 and also be published in Bethesda Magazine. Additional prize money will also be given to second, third and honorable mention places. More info. The annual Poetry Contest will award $350 to the top poem that will also be published in The Writer's Center's "First Person Plural" blog. Up to three young poets will also be selected and receive $75. Additional prize money will also be given to second, third and honorable mention places. More info. All selected essay, short story and poetry winners will be honored April 19 - 20, 2018 during the Local Writer's Showcase. Learn more about Local Writer's Showcase on AALBC.com. Boca is the Spanish word for mouth — the organ of speech and song and storytelling. And the Bocas del Dragón — the Dragon’s Mouths — are the narrow straits off Trinidad’s northwest peninsula, which connect the sheltered Gulf of Paria to the open Caribbean Sea. For centuries, the Bocas were the gateways connecting Trinidad to the Caribbean and the Atlantic. NGC is the National Gas Company of Trinidad and Tobago, our title sponsor. Their generous support makes the festival possible. The Bocas Prize for Caribbean Literature is presented during this festival. 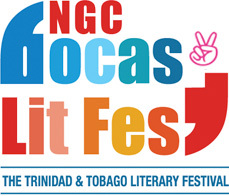 Learn more about The Bocas Lit Fest on AALBC.com. The Southern Kentucky Book Fest is one of the state’s largest literary events. Held in Bowling Green, Kentucky each April, Book Fest draws thousands of readers of all ages who welcome the occasion to meet their favorite authors and purchase signed copies of their books. The Southern Kentucky Book Fest partnership consists of Barnes & Noble Booksellers, Warren County Public Library, and WKU Libraries. These entities collaborate throughout the year on a variety of literary events designed to fulfill the mission of the partnership: to encourage reading and the love of books, and to be a positive force in promoting literacy in our region and state. Learn more about Southern Kentucky Bookfest on AALBC.com. Newburyport is located at the mouth of the Merrimack River, in the far northeast corner of Massachusetts. It is 35 miles north of Boston and 18 miles south of Portsmouth, New Hampshire. Learn more about Newburyport Literary Festival on AALBC.com. The book fair is the third largest in the country and features more than one hundred specialized booksellers from all over the United States. 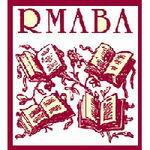 Learn more about Florida Antiquarian Book Fair on AALBC.com. Hundreds of book lovers will convene at the Dayton Book Expo. The all-day event includes panel discussions for aspiring authors, activities for children in the Kidz Zone and book signings! The event is free and open to the public. Learn more about Dayton Book Expo on AALBC.com. Time: 10:30 a.m. - 5 p.m. Learn more about Ohioana Book Festival on AALBC.com. Each year, Sydney Writers’l Festival presents more than 400 events, attracting audiences of 100,000 plus for a week-long conversation of books and ideas. Learn more about Sydney Writers’ Festival on AALBC.com. Greater St. Louis Book Fair is one of the nation’s oldest, largest and most popular charity book sales. For over 60 years, book lovers and collectors have enjoyed bargain prices on a diverse and quality selection of new, gently-used and rare books. Fair proceeds benefit local non-profit education and literacy programs. Learn more about Greater St. Louis Book Fair on AALBC.com. The Festival of Literary Diversity (FOLD) celebrates diversity in literature by promoting diverse authors and stories in Brampton, Ontario—one of Canada’s most culturally diverse cities. Learn more about The Festival of Literary Diversity (FOLD) on AALBC.com. Over 113 authors including New York Times Bestsellers along with local and acclaimed young adult and middle grade writers, plus notable Hollywood directors and creators. Learn more about Yallwest Santa Monica Book Festival on AALBC.com. Time: 11:00 a.m. to 7:00 p.m. The Bronx Book Fair is dedicated to engaging and growing the community of poets and writers in the Bronx and to connecting those literary artists to readers and booklovers of all ages. Through readings, workshops, and presentations our goal is to engage the community with a variety of literature and programs that will broaden access to Bronx literary artists, increase library usage, and encourage a love of books and reading. Learn more about The Bronx Book Fair on AALBC.com. Learn more about OE Book Fair on AALBC.com. PEN World Voices is America’s only international literary festival, attracting the best-known writers from across the globe. Since its founding, they have presented more than 1,500 writers and artists from 118 countries speaking 56 languages in venues across New York City in a weeklong series of literary events with a human rights focus. The Festival was founded by Salman Rushdie, Esther Allen, and Michael Roberts in the aftermath of September 11, 2001, with the aim of broadening channels of dialogue between the United States and the world—a mission that, today, has never been more relevant. Learn more about PEN World Voices Festival of International Literature on AALBC.com. In an effort to support the literary arts, Literary Classics Book Awards and Reviews has created the Great American Book Festival. To be held annually, this event has become home to the Literary Classics Book Awards and related events, and will be held in conjunction with a book festival. The Great American Book Festival is slated to be held each year on Labor Day weekend. The festival is open to the public and authors from all regions and genres are invited to participate along with related vendors and food purveyors. Learn more about Great American Book Festival on AALBC.com. 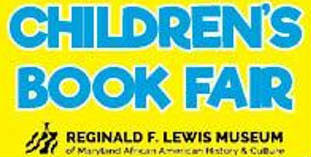 Learn more about African American Children’s Book Fair on AALBC.com. 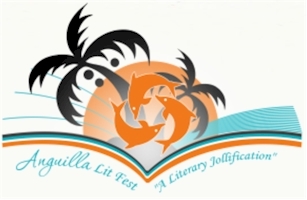 The Anguilla Lit-Fest was conceptualized as a means of celebrating Anguilla’s literary heritage and is seen as a catalyst for visitor arrivals during the summer shoulder period. Visitors from the USA, Canada and The Caribbean are expected to be on island for the four- day event, which will feature a Welcome Cocktail, Breakfast and Lunch presentations, special sessions with the authors and fun-filled evening soirees. Participants will also be given a full day to create their personal Anguilla Experience or to reconnect with their individual creative muse. Learn more about Anguilla Literary Festival on AALBC.com. The festival will feature more than 100 best-selling and award-winning authors who will participate in talks, panel discussions and book signings throughout the day. Since its inception in 2010, the Festival has quickly become one of the nation’s top literary events, attracting hundreds of award-winning and best-selling authors, poets, and songwriters from across the country. Other festival highlights include exhibiting authors, a Children�s Village, literary exhibitors, the Brew & Vine Cafe featuring live performances by singer/songwriters and poets, Friends of the Library used book sale, and onsite new book sales by Politics & Prose. Visitors of all ages also have the opportunity to participate in free interactive, hands-on writing workshops for children and adults/teens on a variety of topics. Learn more about Gaithersburg Book Festival on AALBC.com. Books in Bloom Literary Festival: a Celebration for Writers and Readers was established in 2005 by the Carroll and Madison Public Library Foundation as its signature event to promote the value of books and reading. The Books in Bloom Co-chairs are Jean Elderwind, Jennifer Hudspeth, and Lin Wellford, directors on the Public Library Foundation Board. The Festival provides an opportunity for the public to meet accomplished authors, and to hear them read from or speak about their work. Aspiring writers learn about various aspects of writing and publishing, and avid readers are introduced to authors working in a wide variety of genres. 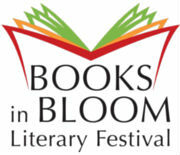 Learn more about Books in Bloom Literary Festival on AALBC.com. RSVP for the 2019 Coming Soon! 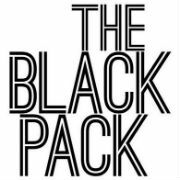 The Black Pack Party is an annual gathering of publishing industry professionals which is held during Book Expo America. Check out photos from the previous gatherings and a retrospective. Learn more about Black Pack Party on AALBC.com. BEA is the largest gathering of booksellers, librarians, retailers, publishers, rights, licensing, and book industry professionals in North America. Learn more about Book Expo America on AALBC.com. 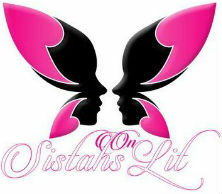 Sistahs On Lit was founded in 2012 as a promoting business for Author’s books. After meeting several authors, and making sure the readers knew about their work, Papaya began to enjoy her new craft. In 2013 Papaya met Cherita King, who is an avid reader along with her husband Charles, who has worked with various vendors and entrepreneurs, and together they hosted a Bottles & Books event with several national best selling authors, which was a success!! Now they have taken on new heights and now hosting their 3rd annual event into a festival in the newly developed Downtown Silver Spring area. Learn more about The Sistahs On Lit Book Festival on AALBC.com. Romance Slam Jam convention is an annual book lovers’ event for black authors of romantic fiction and the book lovers who read them. RSJ was born out of a necessity in 1995 due to the systemic exclusion by the publishing industry of black authors from acquisitions, mainstream distribution, and industry awards. In a response to gatekeepers who once said, “People won’t buy black romance,” RSJ set out to break barriers in the now billion dollar romance book industry and support authors who challenged the illusion of inclusion. Learn more about Romance Slam Jam Convention on AALBC.com. Learn more about Memphis Literary Arts Festival on AALBC.com. The Bay Area Book Festival is the primary project of the Foundation for the Future of Literature and Literacy, a 501(c)(3) nonprofit organization incorporated in California. FFLL’s Tax ID number is 47-3955286. Its business address is 1569 Solano Ave. #635, Berkeley, CA 94707. FFLL is governed by a Board of Directors. Members include Cherilyn Parsons (Berkeley, CA), Peter Richardson (San Francisco, CA), Mal Warwick (Berkeley, CA), Brooke Warner (Berkeley, CA), and Igor Zagatsky (Berkeley, CA). Learn more about Bay Area Book Festival on AALBC.com. The first Author Awards were presented in 1992 as a small event held in Brooklyn, New York to recognize those authors and publishers that made significant contributions in the writing and publication of quality books for and about people of African descent. That year we honored Gloria Naylor for Bailey’s Café and New Authors of the Year Barbara Neely for Blanche on the Lam and Barbara Summers for Nouvelle Soul. We gave a publishing award to Beacon Press for their work in publishing authors of color. We were delighted when they all showed up to accept their awards. That was the beginning of a GOG tradition. The annual Author Awards event has traveled the United States from east to west as well as outside the U.S. to Jamaica, West Indies and Toronto, Canada. Beginning in 1993, the one-night event became a three-day weekend where chapters meet and take care of business issues and celebrate the winning authors. It's also an opportunity for members to meet and reconnect with their literary sisters from all over the country. Each year winning authors are selected from our reading list based upon votes from each Go On Girl! Book Club chapter for Author of the Year and New Author of the Year. They are then invited to receive their awards in person at the annual Awards Ceremony. GOG members and guests have had the honor of awarding in person to Pearl Cleage, Bebe Moore Campbell, Walter Mosely, Jill Nelson, Valerie Wilson Wesley, Diane McKinney Whetstone, Lawrence Hill, Daniel Black, Isabel Wilkerson to name a few. This flagship event is one of the ways of expressing our deep authentic respect for Black literature and authors, reinvigorating our literary sisterhood, and providing a platform for new literary talent to emerge. Learn more about Go On Girl! Book Club Author Awards Weekend on AALBC.com. Learn more about Sacramento Black Book Fair on AALBC.com. Founded in 2006 as the Dallas International Book Festival, the festival is Dallas Public Library’s premiere literary event. The Dallas Book Festival is a community-based literary event promoting reading, literacy, and writing and featuring over 100 local, regional and national authors. 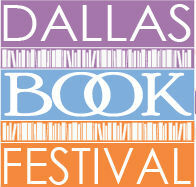 Learn more about Dallas Book Festival on AALBC.com. BookCon is the event where storytelling and pop culture collide. Consumers and brands will experience the origin of the story in all its forms by interacting with the authors, publishers, celebrities and creators of content that influence everything we read, hear and see. BookCon is an immersive experience that features interactive, forward thinking content including Q&As with the hottest talent, autographing sessions, storytelling podcasts, special screenings, literary quiz shows and so much more. BookCon is the ultimate celebration of books, where your favorite stories come to life. Learn more about BookCon on AALBC.com. AALBC.com’s Founder, Troy Johnson, was named Literary Activist of the Year for 2017. Learn more about Black Writers Weekend on AALBC.com. The Printers Row Lit Fest was founded in 1985 by the Near South Planning Board to attract visitors to the Printers Row neighborhood (once the city's bookmaking hub). By 2002, it had grown to five city blocks (on Dearborn, from Congress to Polk), attracting more than 200 booksellers from across the country displaying new, used and antiquarian books and featuring more than 200 authors participating in panels, discussions and a variety of other programs. 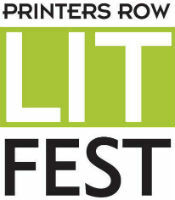 Learn more about Printers Row Lit Fest on AALBC.com. 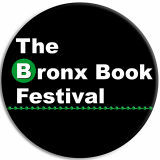 Learn more about The Bronx Book Festival on AALBC.com. Learn more about ALA Conference on AALBC.com. Time: 9:30 a.m. to 4 p.m.
Austin’s African American Book Festival celebrates it’ 13th anniversary, in 2019, promoting literature by and about African Americans at the Carver Museum and Library. 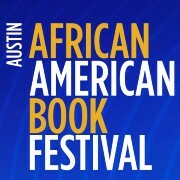 Learn more about Austin African American Book Festival on AALBC.com. The Soulful Chicago Book Fair is a FREE, outdoor, celebration of literacy and literary arts found throughout the African Diaspora. It is Chicago’s only living “author-centric” festival, filled with OUR stories told through books, spoken word, storytelling, songwriting, play writing and art! 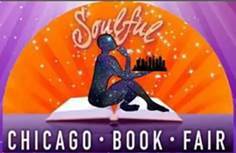 Learn more about The Soulful Chicago Book Fair on AALBC.com. 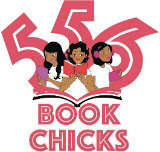 556 Book Chicks is an award-winning book club, founded in 2012 by 3 friends and co-workers (Benita, Monika, and Tiffany). It started as just a book club - discussing and meeting authors. Over the years the book club has grown into an Atlanta Book Signing Festival. Learn more about The Atlanta Kick Back on AALBC.com. Learn more about South Florida Book Festival on AALBC.com. The Atlanta African American Book Festival is a yearly festival held in Atlanta, Georgia. The event is a great opportunity for community members to meet and engage with their favorite African American authors. 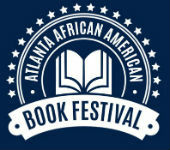 Learn more about Atlanta African American Book Festival on AALBC.com. The Harlem Book Fair is the United State’s largest African-American book fair and the nation’s flagship Black literary event. Held annually in Harlem, NY, the Harlem Book Fair features exhibition booths, panel discussions, book sales, and workshops. The Phillis Wheatley Book Awards are presented in conjunction with this event. Learn more about Harlem Book Fair on AALBC.com. The Leimert Park Village Book Fair was founded in 2006 by Cynthia E. Exum with the goal of promoting literacy and education in Los Angeles. The Leimert Park Village Book Fair was inspired by a project in February 1999 when Ms. Exum partnered with Our Authors Study Club, Inc. to present a ‘Festival of African American Authors’ at Los Angeles Southwest College. Its success in drawing 10 authors participating for an audience of 40 inspired the idea of creating an annual literary event. Today, the Annual Leimert Park Village Book Fair attracts over 200 authors, poets, spoken word artists, storytellers, performers, and literary/educational exhibitor participants – and boasts an audience of over 5,000. Since its inception the Leimert Park Village Book Fair has grown in popularity and prestige becoming a cultural tradition and premier summer literary event. Learn more about Leimert Park Village Book Fair on AALBC.com. The AJC Decatur Book Festival is the largest independent book festival in the country and one of the five largest overall. Since its launch, more than 1,000 world-class authors and hundreds of thousands of festival-goers have crowded the historic downtown Decatur square. Learn more about AJC Decatur Book Festival on AALBC.com. The Rocky Mountain Book & Paper Fair will have guest speakers who will discuss the Mystery genre. Once again we will have the Book Arts displays and demonstrations including the Preservation Station. Whether you are a serious collector; print enthusiast, or casual shopper, the RMBPF has a lot to offer from rare books and maps to cultural oddities and whimsical finds. Over 80 exhibitors from across the nation have selected their best inventory to present at the fair. If you’re looking for something specific, ask our exhibitors, you never know what they have in store that you have been hoping to acquire or might never have imagined exists! Learn more about Rocky Mountain Book and Paper Fair on AALBC.com. It is part of Writivism, the organization’s flagship initiative that identifies, mentors and promotes emerging African writers. The festival is Uganda’s leading literary event and is celebrates various arts around an annual theme. Learn more about The Writivism Festival on AALBC.com. Kya Publishing’s TUBE is the only Canadian event dedicated to celebrating urban fiction. It is an annual exposition of contemporary urban writers where authors and publishers have the opportunity to display, sell, and communicate their projects while promoting support and recognition for urban literature, literacy, and culture. Learn more about Toronto Urban Book Expo on AALBC.com. Seattle Urban Book Expo (S.U.B.E) provides a platform for authors to showcase their Literary work and connect them with readers in their community. Learn more about Seattle Urban Book Expo on AALBC.com. Hosted by: China National Publications Import & Export Corp. The BIBF - Beijing International Book Fair – is divided into several specific areas: The area of children’s books and comics, the field of industry, and the field of book and newspaper publishers. Another focus is the area of protection of copyright and copyright trade. Here, interested visitors can learn about the latest trends and phenomena all around the theme of books at the numerous international and national exhibition booths. 2018 is the 25th anniversary of the fair. Learn more about Beijing International Book Fair on AALBC.com. Over the course of 15 years, some of the most famous and talented authors have been a part of what the NBCC calls “literary bliss”. Important to the NBCC, however, is to introduce new or lesser-known authors that have created stories that are entertaining, informative and important. 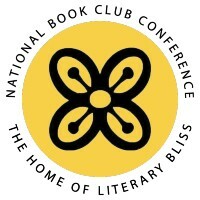 Learn more about National Book Club Conference on AALBC.com. The Mississippi Book Festival, a nonprofit founded by literacy advocates, launched in August 2015 on the State Capitol grounds and continues to draw thousands to its annual “literary lawn party” and book lovers’ celebration. Learn more about Mississippi Book Festival on AALBC.com. 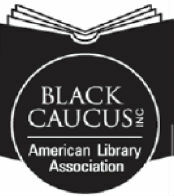 The Black Caucus of the American Library Association also honors outstanding works of fiction and nonfiction for adult audiences by African American authors. Learn more about National Conference of African American Librarians on AALBC.com. A festival of literature from all over the world, ZEE JLF at Boulder promises to be an event unlike any other. Free and accessible to everyone, rich with words and ideas, the Festival invites you to join us in examining the human experience through the reflections and imaginations of distinguished contemporary authors from across the globe. Learn more about ZEE JLF at Boulder on AALBC.com. The festival idea was born when a small group of local citizens and businesspersons spontaneously came together ten years ago around the goal of giving greater exposure to the art of writing and the joys of reading in an area already famed for its colony of artists in other media. Originally, that group consisted of literacy advocate Myrna Stephens; Wendy Reid, owner of The Design Gallery; poet Britt Kaufmann; children’s book author Karen Miller; artist Anne Sabri, and health care consultant and aspiring writer Ruth Perschbacher Price and her husband, historical novelist Charles F. Price. Now it also includes Dr. Dan Barron, former director of the Avery-Mitchell-Yancey Regional Libraries, downtown booster Lucy Gregory Doll, poet and community volunteer Kathy Weisfeld, librarian, runner, super-mom and new director of the Avery-Mitchell-Yancey Regional Libraries Amber Westall Briggs, artist and arts advocate Jane Brown Willig, and many others. Learn more about Carolina Mountains Literary Festival on AALBC.com. 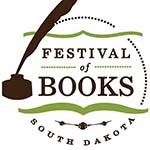 Learn more about South Dakota Festival of Books on AALBC.com. What began as a two-day literary event in 1999, organized by George Mason University and the City of Fairfax, has expanded into a week-long, multiple-venue, regional festival that brings together people of all ages and interests, thanks to growing community interest and generous supporting partners. Learn more about Fall for the Book on AALBC.com. UCAAB was created as a way for African-American book clubs in California to network, support, and promote our reading groups, black-owned independent bookstores, and the authors we love to read. Many of us live, work, and meet in the same area; but, rarely do we get a chance to come together as ONE! UCAAB is our way of officially creating and sustaining a cohesive environment that celebrates each member’s (book club or individual) uniqueness, encourages community bonding, embraces fellowship, and supports the literary contributions of authors of African descent. One of the primary goals of UCAAB is to bring book lovers and authors together on the west coast. We accomplish this by hosting our annual Fall into Fiction literary event. This is just one of the ways we get the attention of publishers, so they will begin to include California on all of their authors' book tours. 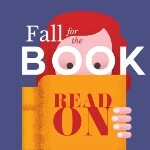 Learn more about Fall Into Fiction on AALBC.com. Open Book Festival at The Fugard Theatre is an annual literary festival, the first of which happened in 2011. 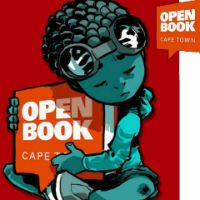 Learn more about Open Book Cape Town on AALBC.com. 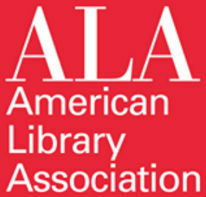 Learn more about The Joint Conference of Librarians of Color on AALBC.com. The Kerrytown BookFest is held each September and is a celebration of books, those who create them and those who read them. Our primary goal is to highlight our area’s rich heritage in the book and printing arts and showcase local individuals, businesses, and organizations. The day will be filled with entertainment, education, and hands-on experiences. Learn more about Kerrytown BookFest on AALBC.com. 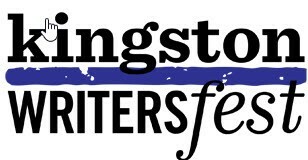 Learn more about Kingston WritersFest on AALBC.com. The Allegheny Regional Festival of Books (ARFB) is a truly grassroots, community based, literary festival, promoting authors, writing and reading, while raising funds for scholastic projects. Born from the imagination of a writers group, this vision was transformed into a framework driven by hard working volunteers committed to excellence. Learn more about The Allegheny Regional Festival of Books on AALBC.com. Learn more about Baltimore Book Festival on AALBC.com. Mark your calendars for the 18th Library of Congress National Book Festival, Saturday, Sept. 1, at the Washington Convention Center. Follow the excitement via our hashtag, #NatBookFest. Learn more about Library of Congress National Book Festival on AALBC.com. The Festival of Women Writers has become a highly anticipated event, unique among cultural happenings in the Catskill Region, especially in Delaware County. The Festival will celebrate its fourth year in the Hobart Book Village, “the reading capital of New York State.” Since its inception, the Festival has created space for established and emerging women writers to share their insights and skills through a variety of writing activities and public readings with audiences throughout Delaware County, the state of New York, and beyond. Poet Cheryl Clarke, novelist Breena Clarke, and Barbara Balliet are festival’s cofounders. Learn more about Festival of Women Writers on AALBC.com. Come out and meet face to face with local and international authors. Friends, family, and the community at large are encouraged to come out and support our budding authors. Authors will make presentations from their books; also games, prizes, promotional giveaways will be available. A wide selection of books will be available for purchase at the event. This event will feature the following: Author exhibits Author Readings and Signings Children's Corner (with Arts and Crafts and Author Readings) Free Workshops and Seminars Book Club Meet and Greet, and much more! 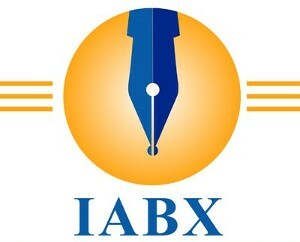 Learn more about Independent Authors Book Expo on AALBC.com. If your publishing success is just as important to you as your writing success, then instead of going to yet another writing conference, don’t you think it’s time you attend a publishing conference? If the business you build with your book to create multiple streams of income is just as important to you as book sales and royalties, then instead of going to another one of those “fun” conferences designed to give readers an experience with authors, don't you think it’s time you attend a conference that can teach you how to make money as a writer and author outside of book sales and royalties? Are you ready to learn how to operate your literary business in thriving excellence and not mediocre struggle and lack? If you answered yes to any of the above questions, then we’ll see you in Las Vegas. Learn more about Act Like an Author, Think Like a Business Conference on AALBC.com. Learn more about Brooklyn Book Festival on AALBC.com. The Cavalcade of Authors is the ultimate event where readers and book clubs tour Chicago with their favorite authors. Join us for a weekend of private dinners, intimate chats, dancing, shopping, games, and so much more. Learn more about The Cavalcade of Authors on AALBC.com. 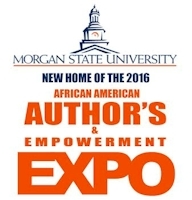 2016 marks seven years of event excellence in Maryland for the African American Author’s Expo (AAAE). AAAE has a reputable reputation for showcasing hundreds of independent authors/artists from across the nation at its annual literary events. AAAE’s mission is to create a platform that exposes independent authors to the general public while helping authors make connections with national book clubs, provide entrepreneurial workshops and author seminars. The Authors & Empowerment expo and all of its workshops and panels are free and open to public. You will find workshops on writing, marketing, branding and how to make sales. Panel discussion on Reality TV shows, Hip-Hop and social media, publishing panel and relationship panel. Pitch competitions for college students and authors. Learn more about The African American Author’s Expo and Multi-Cultural Book Fair on AALBC.com. The African American Literary Award show is the brainchild of Yvette Hayward. She came up with the idea in 1996 and was finally able to bring it to fruition in September 2004. 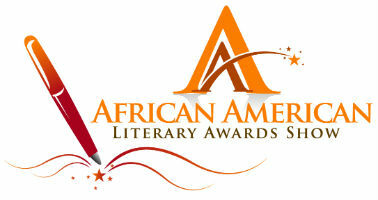 Learn more about African American Literary Awards Show on AALBC.com. Named for literary geniuses, Zora Neale Hurston and Richard Wright, the Hurston/Wright Foundation was founded in 1990. Hurston/Wright was established to be a resource center for training and a gateway to ensure the unique experience and voice of African Americans in literature. The Hurston/Wright Foundation ​is a literary education institution committed to the development, dissemination and preservation of literature with a focus on the contributions of African American writers. By preserving and honoring African Americans in literature, the Foundation ensures this vital part of American literature will continue to remain available to all readers. The Hurston/Wright Foundation serves aspiring and emerging writers, published authors, readers and supporters of Black literature. Hurston/Wright programs, awards, special events and literary resources aim to impact the literature community and those who contribute to the enrichment of it. Learn more about Hurston/Wright Legacy Awards Ceremony on AALBC.com. Alaska Book Week was established in 2011 by 49 Writers to spotlight Alaska's authors and their books. Since then it has grown into a state-wide celebration, coordinated by a coalition of organizations: the Alaska Center for the Book, 49 Writers, the Alaska State Library, and Anchorage Public Library. Learn more about Alaska Book Week on AALBC.com. Learn more about Boston Book Festival on AALBC.com. Learn more about Twin Cities Book Festival on AALBC.com. More than 5,000 people and more than 150 authors made the 2015 Books by the Banks book festival our biggest year yet. Our planning teams are already getting ready for 2016. But first, take a look back at what people had to say about our most recent festival. We hope you had as much as fun as they did. See you in 2016! Learn more about Books by the Banks on AALBC.com. The Festival annually welcomes more than 200 authors from throughout the nation and in every genre for readings, panel discussions and book signings. Book lovers have the opportunity to hear from and meet some of America's foremost writers in fiction, history, mystery, food, biography, travel, poetry and children's literature among others. 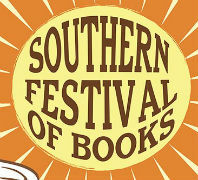 Learn more about Southern Festival of Books on AALBC.com. The Texas Book Festival (#TXBOOKFEST) celebrates authors and their contributions to the culture of literacy, ideas, and imagination. The Texas Book Festival was established in 1995 by Laura Bush, a former librarian and an ardent advocate of literacy. Along with Mary Margaret Farabee, founding co-chair, Mrs. Bush created a task force to plan a book festival to honor Texas authors, promote the joys of reading and serve to benefit the state’s public libraries. The first Festival took place at the Capitol in November 1996. The signature event has evolved into one of the premier literary events in the country and takes place in and around the State Capitol in Austin, hosting about 250 authors each year. More than 40,000 book lovers of all ages attend the Festival annually, enjoying author readings and presentations, panel discussions, book signings, cooking demonstrations, live music, local food, YA authors, children’s activities, and exhibiting vendors from across the state. While remaining an important showcase for the work of Texas authors, the Texas Book Festival hosts important writers from all over the world and has earned a national reputation for the quality of its programming and its appeal to readers, authors, and publishers alike. Learn more about Texas Book Festival on AALBC.com. 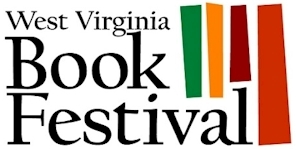 Learn more about West Virginia Book Festival on AALBC.com. The Wisconsin Book Festival is Wisconsin's premier literary event. Every October we draw a local and regional audience of 12,000-15,000 people for four days of author events. Our year-round series of events has drawn more than 15,000 people to an additional 75 events over the past two years. Madison's proximity to Chicago, Minneapolis, Milwaukee, and Iowa City makes it an easy addition to any tour through the Midwest. As the State Capitol and home to the University of Wisconsin, Madison boasts an engaged and active literary community who have shown a dedication to supporting great author programming. 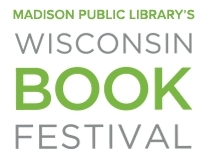 Learn more about Wisconsin Book Festival on AALBC.com. Book lovers of all ages: join us on Saturday, October 7, 2017. Stroll more than six blocks of Haddon Avenue filled with authors/speakers for adults and children, as well as booksellers, storytellers, poetry readings, workshops, exhibitors, kid-friendly activities, and entertainment for all ages. This award-winning festival is the longest-running, largest literary event in the Delaware Valley. Remember, all events are free! Learn more about Collingswood Book Festival on AALBC.com. The Queen City’s annual celebration of the written word offers readings, book signings, panels, workshops, demos, family activities, and special events featuring literary luminaries from around the world and just around the corner. All events are free and open to the public. Learn more about Burlington Book Festival on AALBC.com. The Southern California Independent Booksellers Association (SCIBA) is a non-profit trade association of independent booksellers, book wholesalers, publishers and other industry professionals located primarily in Southern California and Southern Nevada. 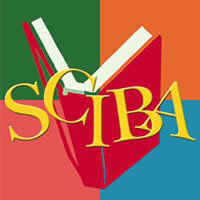 Learn more about SCIBA Trade Show on AALBC.com. The Morristown Festival of Books celebrates the power of the written word to challenge, transport and transform us, while bringing together our community in conversation. Modeled after successful book festivals in other communities throughout the world, the Morristown Festival of Books brings together acclaimed authors with readers and book lovers. 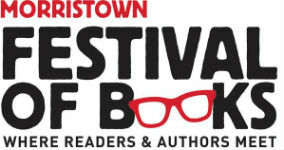 Learn more about Morristown Festival of Books on AALBC.com. 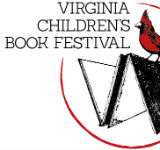 The Virginia Children’s Book Festival will be available to the public without an entrance fee. Children, parents, grandparents, book collectors, and interested members of the public are welcome to attend. Learn more about Virginia Children’s Book Festival on AALBC.com. The Festival is a four-day celebration of those who read books, those who write books, and of the books themselves. Located in downtown Brattleboro, Vermont, the Festival includes readings, panel discussions, and special events, featuring emerging and established authors. All events are FREE AND OPEN TO THE PUBLIC! Learn more about Brattleboro Literary Festival on AALBC.com. Since its inception in 1974, Toronto’s International Festival of Authors has welcomed more than 9,000 authors from over 100 countries, including 22 Nobel Laureates and countless other award winners. IFOA presents the finest international novelists, poets, playwrights, short story writers and biographers, and provides Canadian writers with an internationally recognized forum in which to present their work. Incorporated in 1986 as a non-profit organization with a mandate to cultivate and advance the cause of literature, IFOA is home to a weekly event series (September to June), the annual International Festival of Authors (October) and ALOUD: a Celebration for Young Readers with Forest of Reading® Festival of Trees™ (May), presented with the Ontario Library Association. IFOA also runs Toronto Lit Up, a three-year programme supported by the Toronto Arts Council (TAC) that helps launch and promote the work of local authors. 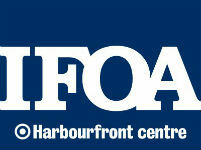 In 2006, IFOA introduced its touring programme, IFOA Ontario, which now visits communities in numerous cities and towns across the province. Learn more about International Festival of Authors on AALBC.com. The Vancouver Writers Fest turns reading into a community experience, bringing people together to share thoughts, explore ideas, and witness brilliant conversations. For the past 30 years, the Writers Fest has enriched our imaginations and the culture of our city and has touched and inspired thousands of lives by creating a forum for authors to connect with readers and by offering a vibrant exchange of ideas and conversation. The Festival is a celebration of story, told by authors, poets, spoken word performers, and graphic novelists. 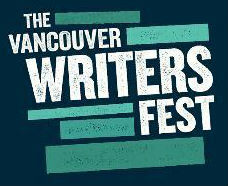 Learn more about Vancouver Writers Fest on AALBC.com. Organized in April 2016, a cross-cultural, community-driven Action Group is spearheading the Fort Worth BookFest effort. Our Group has attracted broad support throughout the community among individuals, organizations, elected officials, and institutions. Our goal is to raise awareness of the transformative power of literacy through the BookFest platform to showcase the wealth of talent among all cultures that call Fort Worth and the southwest region (our marketing area – TX, NM, OK, AR, and LA) home. We have collaborated with Max Rodriguez, founder and producer of the famed Harlem Book Fair for his 18-years of Book Fair production experience. Learn more about Fort Worth BookFest on AALBC.com. Authors read this if you plan to attend. The Frankfurt Book Fair is perhaps the world’s largest trade fair for books, based on the number of participating publishing companies and attendees. Learn more about Frankfurter Buchmesse (Frankfurt Book Fair) on AALBC.com. Learn more about The Christian Book Lover’s Retreat on AALBC.com. Read My World is the international literature festival of Amsterdam. Going beyond the commonplace, Read My World explores the boundaries between literature and journalism, between here and there and draws attention to everything in between. Next year’s edition takes place in October in the Tolhuistuin in Amsterdam North, with a special focus on journalism, literature and stories from Black USA. Learn more about Read My World on AALBC.com. The Sharjah International Book Fair is one of the showcase events of the Government of Sharjah and, with a history spanning 34 years, this event is more than a typical book exhibition, it is an institution that can give an insider’s glimpse at authentic Arab culture. Learn more about Sharjah International Book Fair on AALBC.com. Learn more about The Seattle Antiquarian Book Fair on AALBC.com. As part of the 2018 Digital Book World (DBW) — two industry veterans will be the first to be inducted into the new Publishing Hall of Fame. The first inductee is Marie Dutton Brown, the iconic editor and literary agent who successfully championed diversity in publishing over the course of her 50-year career. Learn more about Digital Book World on AALBC.com. This expo is intended to support the work of Black authors; to engage the community; and to provide a space in north Minneapolis where literature is celebrated as a community. Learn more about Minnesota Black Author’s Expo on AALBC.com. New York Comic Con is the East Coast's biggest and most exciting popular culture convention. Our Show Floor plays host to the latest and greatest in comics, graphic novels, anime, manga, video games, toys, movies, and television. Learn more about New York Comic Con on AALBC.com. BARR is a two day literary conference that offers readers the opportunity to meet and mingle with new, emerging and nationally recognized African American authors from all writing genres, and offers authors the opportunity to greet old friends, meet new readers and sell their works. Though BARR’s focus is on authors of color, because they are traditionally underserved by the publishing industry, the conference is open to everyone. AALBC’s Founder and Webmaster, Troy Johnson, will be speaking this year! Learn more about Black Authors & Readers Rock Weekend on AALBC.com. Time: 9:00 a.m. – 6:00 p.m.
Wordsmith Productions, a 501c3 nonprofit, launched The High Desert Book Festival in 2016 as a way to add to the cultural and literary awareness of the Mojave High Desert Community. 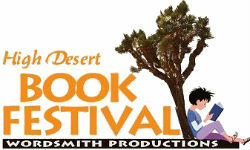 Learn more about The High Desert Book Festival on AALBC.com. The Vegas Valley Book Festival, now in its fifteenth year, is a celebration of the written, spoken, and illustrated word. The festival has networked together a community-wide consortium of cultural organizations and sponsors to offer “a one-stop shopping experience for literature” through a wide range of programs built around sharing resources, developing audiences, advancing the craft of writing, and sharing the joys of reading. This annual festival is the largest literary event in Nevada, drawing more that 10,000 attendees during the season. Since its founding in 2002, the festival has presented over 800 authors and speakers and has produced or sponsored over 500 events, sessions, readings, workshops, and book signings. The festival is free and open to the public. 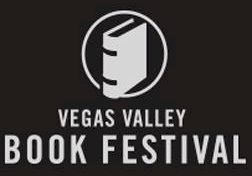 Learn more about Vegas Valley Book Festival on AALBC.com. The National Black Book Festival (NBBF) is an annual event, sponsored by Cushcity.com, the world’s largest African-American retailer online. The event attracts a wide array of authors, publishers, book clubs, libraries and individual readers from the Southwest U.S. and nationwide. The festival was cofounded by author and entrepreneur Gwen Richardson and her husband Willie Richardson. Learn more about National Black Book Festival on AALBC.com. Bouchercon (2019 is the 50th Year Celebration) is an annual world mystery convention where every year readers, writers, publishers, editors, agents, booksellers and other lovers of crime fiction gather for a 4-day weekend of education, entertainment, and fun! It is the world’s premier event bringing together all parts of the mystery and crime fiction community, and is pronounced [bough’•chur•con]. The first Bouchercon took place in 1970 in Santa Monica, California. Recent Bouchercons have been held in many cities across the United States. 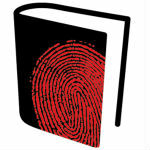 Learn more about Bouchercon, the World Mystery Convention on AALBC.com. 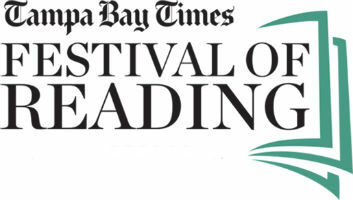 Learn more about Tampa Bay Times Festival of Reading on AALBC.com. About the Kentucky Book Fair: Since its inception in 1981, the Kentucky Book Fair has been connecting readers and authors in a celebration of shared passion and mutual interest: the importance of reading and writing. Each year, more than 170 local and national authors participate in the event, signing their latest books and meeting readers from Kentucky and surrounding states. Learn more about Kentucky Book Fair on AALBC.com. The Louisiana Center for the Book in the State Library of Louisiana is a free, world-class literary festival held in downtown Baton Rouge. Learn more about Louisiana Book Festival on AALBC.com. There’s something for all ages to experience at York Book Expo. You will be able to buy books from more than 100 authors, and have them personalized and autographed, too! Kids can read to the Happy Tails Therapy Dogs, and enjoy awesome crafts and activities all day. Aspiring writers can sign up for free writing workshops. Learn more about York Book Expo on AALBC.com. Portland Book Festival (formerly Wordstock) includes author discussions and activities for readers of all ages, an extensive book fair, pop-up readings and concerts, a beverage garden, and local food trucks. Learn more about Portland’s Book Festival on AALBC.com. The Book Buzz Foundation is a non-governmental organisation founded by teacher and writer, Lola Shoneyin. The Board of Trustees include Ms Mojisola Adeniran, Abubakar Adam Ibrahim, and Dr Soji Adelaja. Through our Project Inspire! initiative which takes place during the Ake Arts and Book Festival, we organise school visits so that accomplished and prominent creatives meet and interact with school children. Ake Festival guests read tho the children, share their experiences and talk to them about the importance of reading and writing. The children are truly inspired by these visits but Ake Festival guests have found it to be a valuable experience. Learn more about Ake Arts and Book Festival on AALBC.com. Learn more about Mosaic Literary Conference on AALBC.com. The first Miami Book Fair International, founded by Miami Dade College and community partners, took place in 1984. Since then, it has been recognized as the nation’s finest literary festival. In 2001, the Fair became part of The Center for Writing and Literature @ Miami Dade College, a cultural and academic initiative that promotes the advancement and appreciation of literature throughout the year. Learn more about Miami Book Fair International on AALBC.com. All of the authors of African descent who have won a National Book Award. 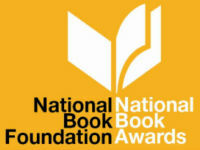 Learn more about National Book Awards on AALBC.com. The Bluffton Book Festival's mission is to raise money for two non-profit organizations that support literacy, education, reading, authors, bookselling and the publishing community as a whole and to bring awareness to local and national literary talent in the process. Learn more about Bluffton Book Festival on AALBC.com. Abantu Book Festival is an annual literary event held in Soweto, South African’s artistic heartland, featuring authors from South Africa, Africa, and the diaspora. Abantu is the Nguni word for people, which makes this the people’s festival. Our vision is simple—We see a Soweto with a vibrant culture of reading. Learn more about Abantu Book Festival on AALBC.com. Whether you’re a beginning writer or a published professional, the San Diego State University Writers’ Conference is for you. Over 30 years old, this conference is designed to help every writer at every level. Learn how to improve your writing skills, develop your marketing awareness, and meet one-on-one with top editors and agents to facilitate the next step in your publishing career. 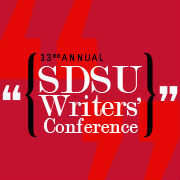 After 33 years, the SDSU Writers’ Conference did not hold a 2018 conference the next one will be held in 2019. Learn more about SDSU Writers’ Conference on AALBC.com. Hosted by: Tampa Bay Black Heritage Festival, Inc. Learn more about Tampa Bay Black Heritage Festival on AALBC.com. Mboka means ‘One Family’ in Wolof and will offer festival attendees a 14-day festival that celebrates Gambian cultural heritage alongside African diasporic cultural heritage (download festival flyer). Special Guest Internationally renowned award-winning writer, Ben Okri stages the world premiere of his debut play. AALBC is planning a group excursion to the Mboka Festival — subscribe to our mailing list to receive more information when it becomes available. 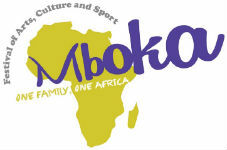 Learn more about Mboka Festival of Arts, Culture and Sport on AALBC.com. Described as the “greatest literary show on Earth,” the ZEE Jaipur Literature Festival is a sumptuous feast of ideas. Learn more about ZEE Jaipur Literature Festival on AALBC.com. Learn more about Rancho Mirage Writers Festival on AALBC.com. 2018 marks the 10 year anniversary of ONYXCON ! A DECADE. ONXCON is a convention, festival, and celebration. We promote, showcase, educate, and entertain all fans of the Sequential Arts and related media. We EDUTAIN! We feature independent and legendary creators of comics, books, film, and other media with a focus on African Diaspora culture, concepts, interests, and general markets. Ultimately we represent diversity in these Arts and so we are open to representing all POPULAR ARTS that are CONSCIOUSLY DIVERSE! Our event is for everyone, and is a progressive and diverse networking event for professionals as well as enthusiasts who appreciate our showcase. Because comic books/comic strips have long stood as the foundation Art form of this type of convention, comics are a major feature. But ONYXCON IS NOT LIMITED TO COMIC BOOKS. Our events highlight other literary genres like speculative fiction, as well as video games, collectable toys and models, films/documentaries, and all other media related to the Popular Arts. Learn more about Onyxcon on AALBC.com. The African American Children's Book Fair is one of the oldest and largest single-day events for children's books in the country. It features nationally known bestselling authors and illustrators, many of whom have won some of the most prestigious literary awards including the American Library Association Coretta Scott King Award. These authors and illustrators have produced some of the best books of our generation. The fun-filled afternoon is packed with activities that promote the POWER and JOY OF READING. Authors and illustrators will make presentations and sign their books. The Literary Row will distribute book-related promotional materials free of charge. Our Educator's Book Giveaway will also distribute brand new books to teachers and librarians for use in their schools. In addition there will be a wide selection of affordable literature available to purchase. The event is free and opened to the public. Learn more about ALA Midwinter Meeting on AALBC.com. Detroit Book City: African-American Family Book Expo is an exciting one-day event is designed to preserve literacy in our community — at the family level. Enjoy a winter afternoon with over 60 talented, Black Indie Authors of adult & children books. Learn more about Detroit Book City on AALBC.com. Referred to as the Feria Internacional del Libro de La Habana in Spanish, the fair’s main objective is the promotion of various books and authors. Hundreds of workshops are conducted as part of the fair and thousands of authors, whether local or international, participate in them. Several international publishing houses set up stalls at the fair and promote their books. Someof the countries that have participated in the fair in the past include Spain, Mexico, Germany, Venezuela, France and the West Indies. 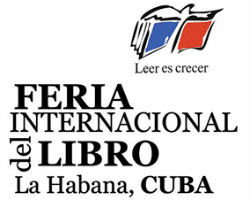 Learn more about Havana International Book Fair on AALBC.com. 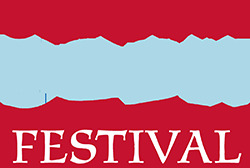 Produced by the Virginia Foundation for the Humanities (VFH), the largest of the 56 state (and territory) humanities councils, the Festival is a program of the Virginia Center for the Book, an affiliate of the Center for the Book in the Library of Congress. 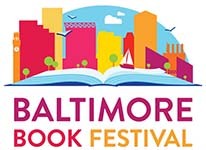 The Festival is the largest community-based book event in the Mid-Atlantic region and has attracted audiences of more than 20,000 for each of the past thirteen years. We have presented a captivating list of authors, ranging from international bestsellers to topical specialists to debut authors. An abbreviated list of past participants includes Rick Atkinson, Edward Ayers, David Baldacci, Maureen Corrigan, Edwidge Danticat, Kate DiCamillo, Rita Dove, Alan Furst, John Grisham, Jan Karon, Jim Lehrer, Frances Mayes, Colum McCann, David McCullough, Alice McDermott, Katherine Paterson, Jon Scieszka, Lisa Scottoline, Pete Seeger, Karin Slaughter, Alexander McCall Smith, Lee Smith, Bryan Stevenson, Elizabeth Strout, Judith Viorst, and Charles Wright. A more complete list of past participants can be seen here. Programs range from traditional author readings and book signings to children’s programs and hands-on workshops. All programs are open to the public and, with the exception of a few ticketed events, the majority of Festival programs are free to attend. Learn more about Virginia Festival of the Book on AALBC.com. Purpose: To promote literacy awareness, to give exposure to African-American authors, writers, and to motivate, and develop aspiring new writers and authors. To showcase Black Businesses, provide exposure and to increase their sales. 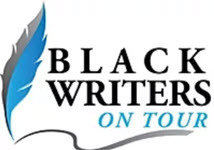 Learn more about Black Writers On Tour on AALBC.com. Learn more about Paris Book Fair on AALBC.com. It was founded in 2006 by Fiona Razvi and Tony Kane whose ambition was to develop the arts and cultural offering in the area. The public festival takes place in early October in a “pop up” festival site on Wimbledon Common in its Baillie Gifford Big Tent and William Morris Tent. It hosts almost 100 events in its 10 day period and has grown from 1,000 visitors in its first year to over 15,000 with 7,000 school children from over 60 schools now enjoying the festival every year. Learn more about Wimbledon BookFest on AALBC.com. There really is something for all ages to experience at the Southwest Florida Reading Festival. Everyone enjoys the multiple stages with the celebrity authors who share ‘inside scoop’ about their latest books or what makes a story idea click for them. You will be able to buy books and have the authors personalize and sign them too! You’ll find our numerous book and educational vendors offering the latest in services and new ideas. Kids will be mesmerized by the storytellers. 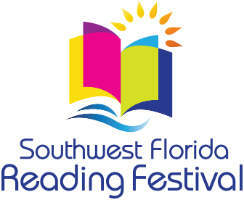 Learn more about Southwest Florida Reading Festival on AALBC.com. The Dahlonega Literary Festival is an annual celebration of books that takes place in March. Situated in Historic Downtown Dahlonega, the festival continues to grow and become more delightful as the years go on. Ours is an intimate festival about books and authors with a mission to promote interaction between readers and writers in a relaxed, informal environment. Visitors have an opportunity to meet and interact with the authors. In addition to attending speaking events and book signings, attendees can have lunch with their favorite authors at a local restaurant. Past featured authors include: Frances Mayes, Diana Gabaldon, Terry Kay, Deanna Raybourn, Joshilyn Jackson, and many more. Where else can you see, have conversations with, and even dine with bestselling authors while surrounded by the beautiful North Georgia Mountains. 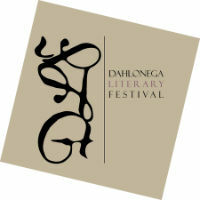 Learn more about Dahlonega Literary Festival on AALBC.com. The Oxford Conference for the Book brings together fiction and nonfiction writers, journalists, poets, publishers, teachers, and students for three days of readings, lectures, panels, workshops, and social events that celebrate the written word. Learn more about Oxford Conference for the Book on AALBC.com. The Kingston Book Festival is one of the largest book festivals in the English speaking Caribbean. It comprises 30 events over 8 days with a combined audience of more than 6,000. We also include training and networking sessions for industry professionals as well as special events for vulnerable populations. All events are free and open to the public unless otherwise indicated. Venues to be confirmed. Learn more about Kingston Book Festival on AALBC.com. The Tucson Festival of Books debuted March 14-15, 2009, on the campus of The University of Arizona. The Festival featured 450 authors and presenters and welcomed 50,000 regional visitors, all made possible with generous support from our sponsors and the energetic goodwill of 800 volunteers. Learn more about Tucson Festival of Books on AALBC.com. 2017 was the 57th year this event was held. This book fair is officially sanctioned by the Antiquarian Booksellers’ Association of America and the International League of Antiquarian Booksellers. The consumer can rely upon the experience and professionalism of participating dealers and the authenticity of the items available for purchase. All books, manuscripts and related material have been carefully examined for completeness and bibliographic accuracy. Learn more about New York Antiquarian Book Fair on AALBC.com. The Venice Book Fair and Writers Festival is a small, unique program hosting writers teaching writers on Friday night, and authors selling and signing their books to the public on Saturday. All proceeds from the Venice Book Fair and Writers Festival go to Venice Heritage Inc., the 501(c) 3 fundraising arm of two historic sites in Venice, the Lord-Higel House, currently under restoration, and the Venice Museum and Archives expansion project. Learn more about Venice Book Fair and Writers Festival on AALBC.com. The London Book Fair is the global marketplace for rights negotiation and the sale and distribution of content across print, audio, TV, film and digital channels. Next year, the Fair will take place in April at Olympia, West London, covering all aspects of the publishing industry. Learn more about London Book Fair on AALBC.com. The Ujamaa Book Festival brings over forty authors and fifteen-hundred readers authors together to celebrate the written word of the literary profession. Over 40 new, emerging, and nationally recognized authors already registered. Author's talk, panel discussions and workshops are aimed at expanding the knowledge of the discerning reader and fledgling author. Learn more about Ujamaa Book Festival on AALBC.com. Panel Discussions, Town Hall Meeting, and Dramatic Readings. Speakers include Ifa Bayeza, Keith Josef Adkins, Amina Henry, Ladee Hubbard, and Aurin Squire among others. Learn more about National Black Writers Conference Biennial Symposium on AALBC.com. The AWP Conference & Bookfair is an essential annual destination for writers, teachers, students, editors, and publishers. Each year more than 12,000 attendees join our community for four days of insightful dialogue, networking, and unrivaled access to the organizations and opinion-makers that matter most in contemporary literature. The 2016 conference featured over 2,000 presenters and 550 readings, panels, and craft lectures. The book fair hosted over 800 presses, journals, and literary organizations from around the world. AWP is now the largest literary conference in North America. Learn more about AWP Conference on AALBC.com. The National Black Writers Conference is be held, every two years at Medgar Evers College in Brooklyn, New York. The conference features panels, author readings, roundtable discussions, and educational seminars. Learn more about National Black Writers Conference on AALBC.com. With over lots of authors, vendors and exhibitors, this free public event is the state’s premier literary event. Thousands of people from around the state and the Southeast gather at the festival each year to meet their favorite authors and scholars. A fun activity area for children makes this a day of fun for the entire family! 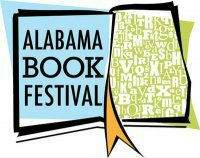 Learn more about Alabama Book Festival on AALBC.com. The Los Angeles Times Festival of Books began in 1996 with a simple goal: to bring together the people who create books with the people who love to read them. The festival was an immediate success and has evolved to include live bands, poetry readings, chef demos, cultural entertainment and artists creating their work on-site. There’s also a photography exhibit, film screenings followed by Q&A’s and discussion panels on some of today’s hottest topics. Learn more about Los Angeles Times Festival of Books on AALBC.com. Since 1986, The Spring Literary Festival has featured some of the world's finest, most distinguished writers of poetry, fiction and non-fiction. The three-day festival is held in May on the Ohio University main campus in Athens, OH. The festival is sponsored by the Creative Writing program in the English Department and is generously funded by the College of Arts & Sciences. All readings and lectures are free and open to the public. Learn more about University Spring Literary Festival on AALBC.com. The second annual Virgin Islands Literary Festival and Book Fair was held in April of 2016 with events highlighting and celebrating literature’s role in culture and society. World-renowned author Salman Rushdie will be this year’s keynote speaker. Other highlighted guests include authors Jamaica Kincaid, Elizabeth Nunez and Earl Lovelace. See our Announcements page for updates and a list of featured authors. 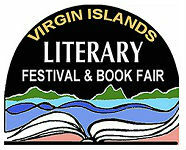 Learn more about Virgin Islands Literary Festival and Book Fair on AALBC.com. The Festival is a day-long event that unites readers and writers alike. Author presentations are held indoors while outdoors the Festival grounds are active with book sales, signings, children’s story time and learning projects, family activities, and a technology area. Food trucks offer a variety of eats; special tents feature live music and recipe demonstrations by cookbook authors. The large Festival Marketplace offers a lively setting for booksellers, publishers, literary-minded nonprofits, and local artists and craftmakers. Learn more about San Antonio Book Festival on AALBC.com. The Annapolis Book Festival is one of the premier community events in the region. Every year more than 3,000 people attend this free community Festival that celebrates the beauty, power, passion, and excitement of the written word. The Annapolis Book Festival brings nationally renowned authors to The Key School in Annapolis, Maryland, to discuss their books and the craft of writing. The Festival also features children's activities, live music, refreshments, and new and used book sales. Learn more about Annapolis Book Festival on AALBC.com. First-ever Belize Writers’ Conference Launching April 2018. Six-day conference offers workshops by New York literary agents. Learn more about Belize Writers’ Conference on AALBC.com. children can learn to spin a yarn and weave a story, based on tales from Ghana, Morocco and Ivory Coast. A panel of Current and past CABA winners CABA authors/illustrators is featured from 11:30 – 12:30. Current and past CABA winners will be signing their books after the panel discussion. The museum is also opening its newest exhibit, Visionary: Viewpoints on Africa’s Arts. The event is free and open to the public. Learn more about Children’s Africana Book Awards Festival on AALBC.com. Are you an author, publisher or independent bookstore looking for an opportunity to promote your work? Are you a reader of diverse literature looking for an event to discover new books? Are you looking for an event that gives you a valuable opportunity to learn about writing and publishing from a dynamic group of authors? Then this event is for you! Learn more about The Hampton University Literary Festival on AALBC.com. Founded in 1964 The Bologna Children’s Book Fair is the most important international event dedicated to the hildren’s publishing and multimedia industry. Learn more about Bologna Children’s Book Fair on AALBC.com. Treasure Beach, Treasure Beach, Jamaica, W.I. The Calabash International Literary Festival, held on a biennial basis on even years, was founded in 2001 by three Jamaicans the novelist Colin Channer, the poet Kwame Dawes and the producer Justine Henzell. Their aim was simple—to create a world-class literary festival with roots in Jamaica and branches reaching out into the wider world. The Calabash International Literary Festival was founded in 2001 by three Jamaicans the novelist Colin Channer, the poet Kwame Dawes and the producer Justine Henzell. Their aim was simple—to create a world-class literary festival with roots in Jamaica and branches reaching out into the wider world. A three-day festival of readings and music with other forms of storytelling folded in the mix, Calabash is earthy, inspirational, daring and diverse. After 10 successive years Calabash is now staged on a biennial basis on even years. All festival events are free and open to the public. Passion is the only price of entry. But voluntary contributions are welcomed. The festival is produced by the Calabash International Literary Festival Trust (the Trust), which also produces publishing seminars and writing workshops. The Trust is affiliated with the Friends of the Calabash International Literary Festival, a registered 501(c)(3) corporation in the United States. Learn more about Calabash International Literary Festival on AALBC.com. Check out our coverage of past events.